Cozy, comforting and relaxing, gathering around a fire is a favorite pastime in America. The American Society of Landscape Architects cites outdoor fireplaces as the most requested design feature today. A backyard fire pit can range from homemade limestone and decorative metal rings to modular brick kits and professional custom installations. Some come with safety cages or grill tops for outdoor cooking while others are portable or permanent. Each state, county, and city have laws regulating how and when you can have open flames in your backyard. In some places, it is completely banned. It is also critical that you are aware of the weather. Never light a fire in windy conditions or during a dry spell. Check with your local fire department about burn bans or ordinances currently in effect. 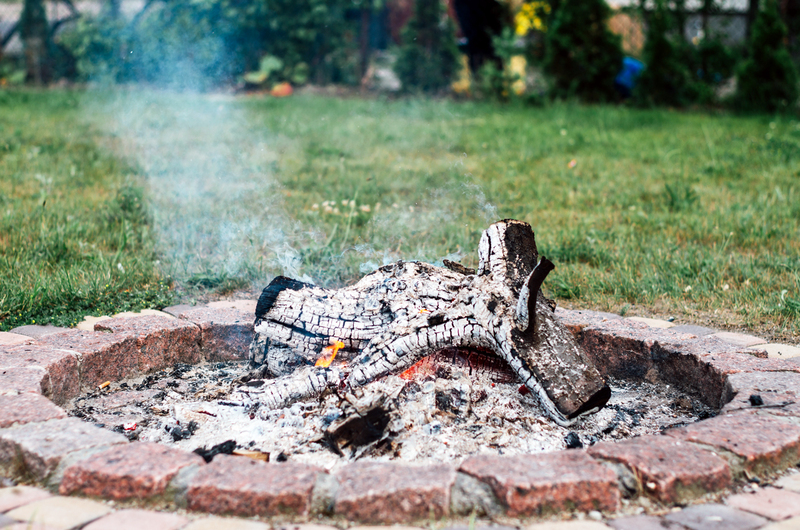 You will also want to talk to your insurance agent about how a fire pit affects your coverage. Select an open location at least 10 feet away from anything combustible, including buildings, trees, fences, wood decks or overhanging porches. Cut back tall grass, and lay down a fireproof substance, such as a square of stone, slate, ceramic, brick, crushed rock or sand. Place metal chairs and stone benches at least 2 feet away from the fire. Logs should only stretch three-quarters across the pit. Use seasoned softwoods, such as cedar, pine, and birch, which do not produce as many sparks. Start the fire with a match and kindling rather than lighter fluid, kerosene or gasoline. Make sure everyone stays safe by keeping the fire small and having a bucket of sand, a fire extinguisher or water hose nearby. Slowly pour a bucket of water over the embers and partially burned logs. Spread the ashes and gently douse everything again. Check for smoldering embers just before leaving the property or going to bed. Dispose of used ashes in a metal container 24 hours later to ensure there are no more hot spots. Discover has all the emergency preparation tips you will need for any season! Help be more prepared for disasters by reviewing ALE Solutions’ temporary housing options.